Joshua Schaible · Designer & front-end developer from Michigan. Designer & front-end developer from Ann Arbor, Michigan. 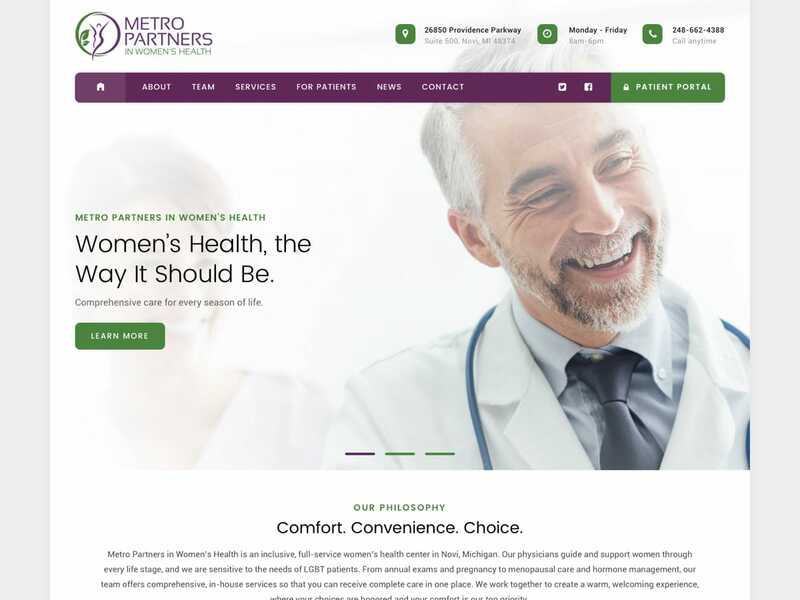 Website design and development for Metro Partners in Womens Health. Features: Built on Wordpress, responsive design, patient resources. Landing page designed and developed for PennCentury to announce the retirement of the business but to also feature the companies accomplishments. Features: Responsive Design. 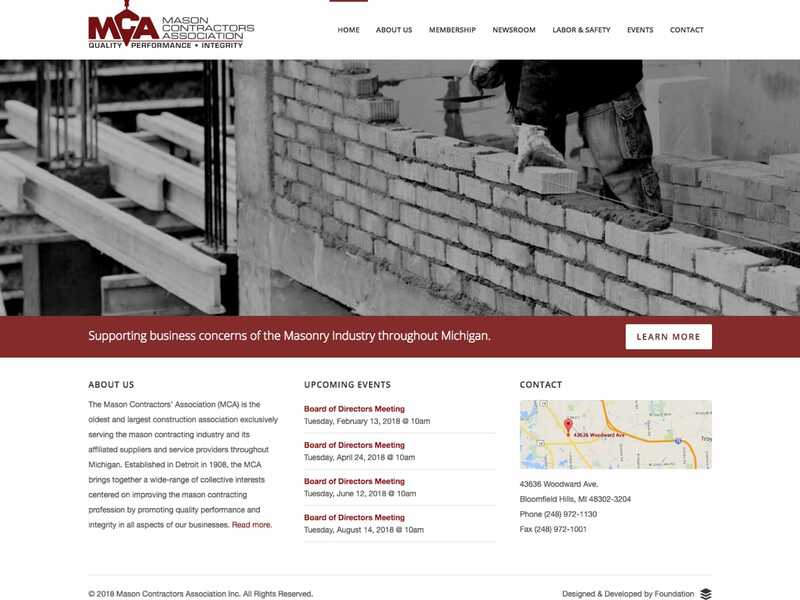 Website designed and developed for the Mason Contractors Assosiation of Michigan. 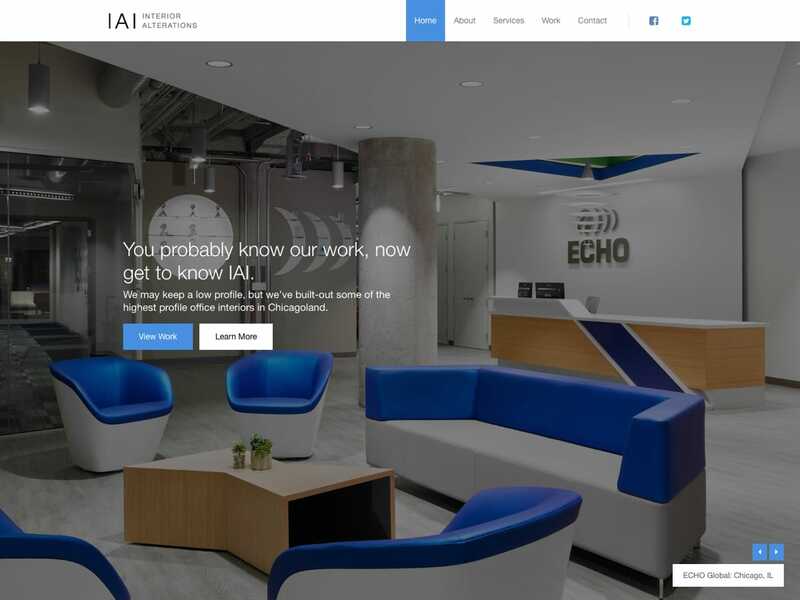 Features: Built on Wordpress, responsive design, company directory and newsroom. Website was designed and developed to showcase this companies beautiful construction work and services. Features: Built on Wordpress, responsive design, parallax horizontal scrolling, etc. 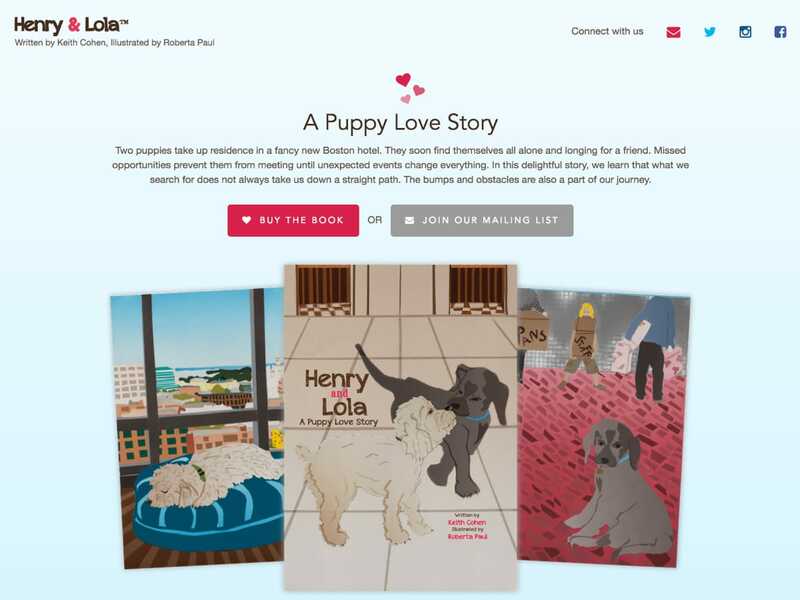 Website designed and developed for Henry & Lola, a children's book about 2 puppies in love. Features: Responsive design, large call to action buttons, links to social media, etc. 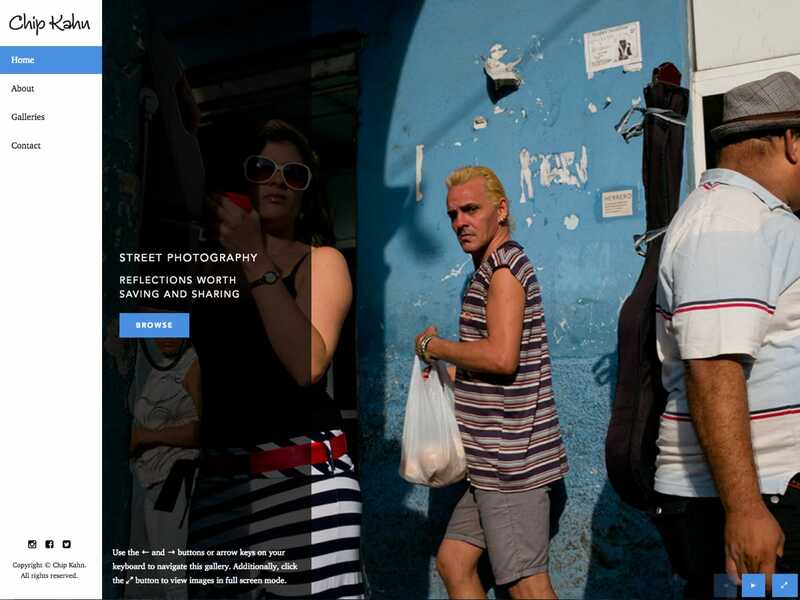 A personal portfolio site for Chip Kahn to feature his recent photography work. Features: Build on Wordpress, responsive design, easy photo management, full screen mode, etc. 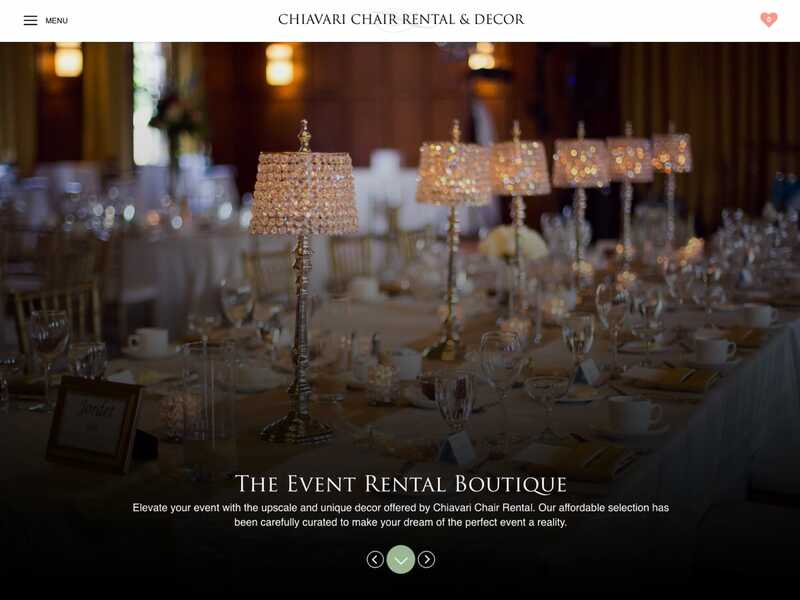 Designed and developed for Chiavari Chair Rental, a chair rental company that needed to stand out from the competition. 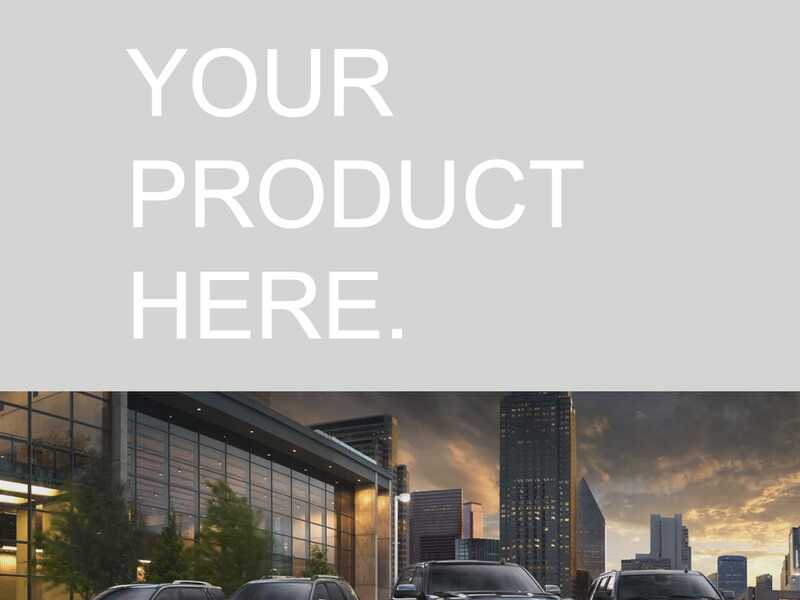 Features informative products page, gallery page, quote system and blog. 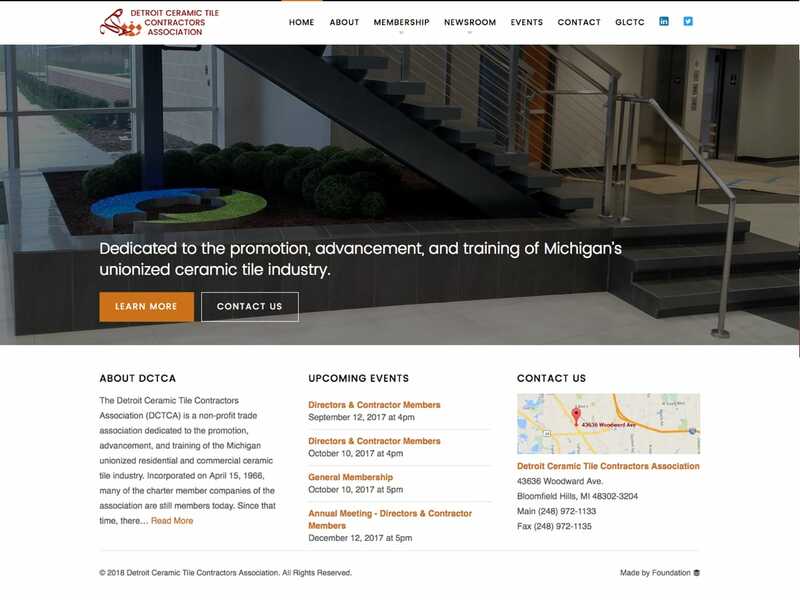 Website designed and developed for the Detroit Ceramic Tile Contractors Assosiation. Features: Built on Wordpress, responsive design, company directory and newsroom. Website designed and developed for 3DXCITE as part of a marketing initiative to promote their EXCITE 2014 event. Features: Responsive design, fun and creative animations triggered by scrolling, fully responsive, etc. 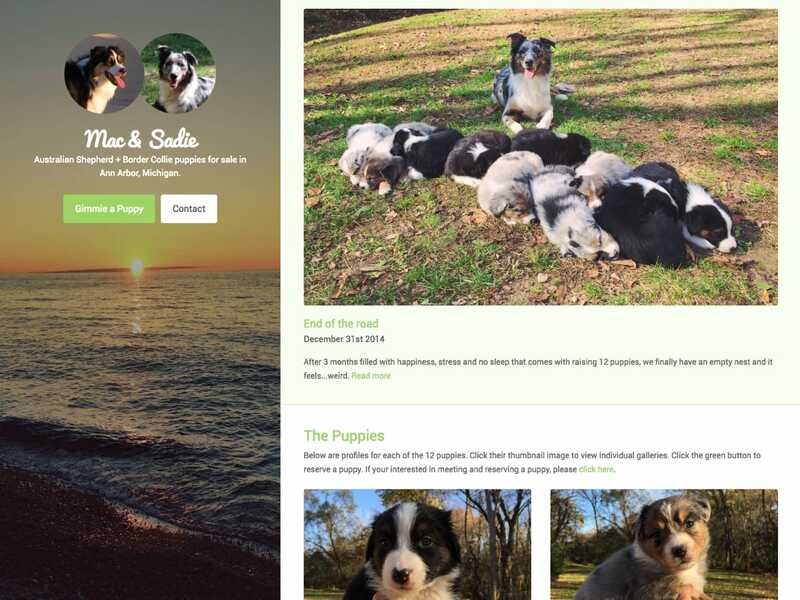 Website designed and developed for our dog Sadie gave birth to 12 puppies. Learn about the parents and breeds, view photos, contact us, fill out an application and stay up to date with the puppies on the blog. 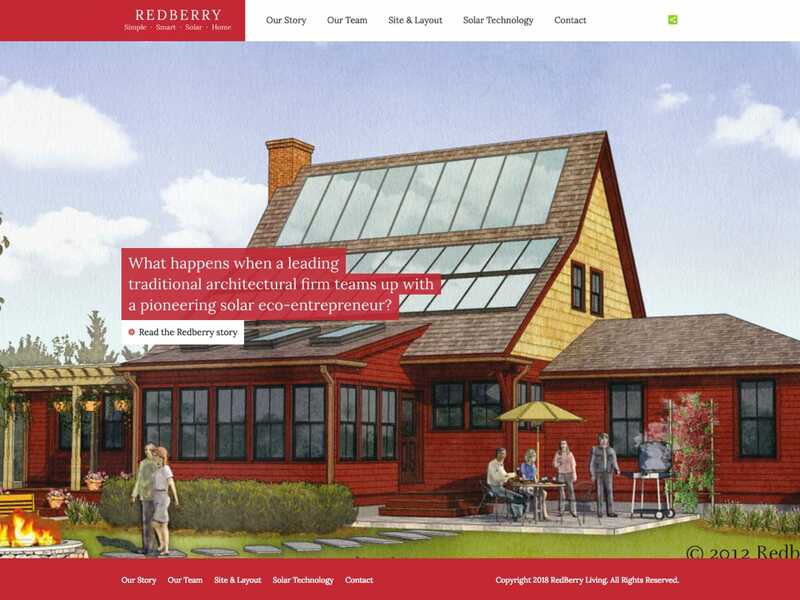 Website designed and developed for RedBerry Living, a brand new solar home company. Features: Built on Wordpress, Informative story, team, home layout and solar technology pages. 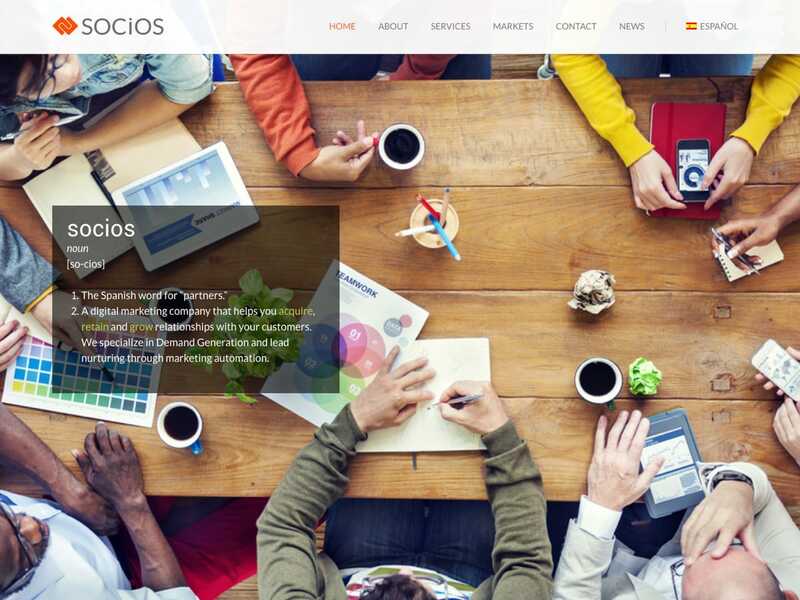 Website designed and developed for Socios, a digital marketing agency. Features: Responsive Design, Language switcher, information sliders, blog/news section, etc. 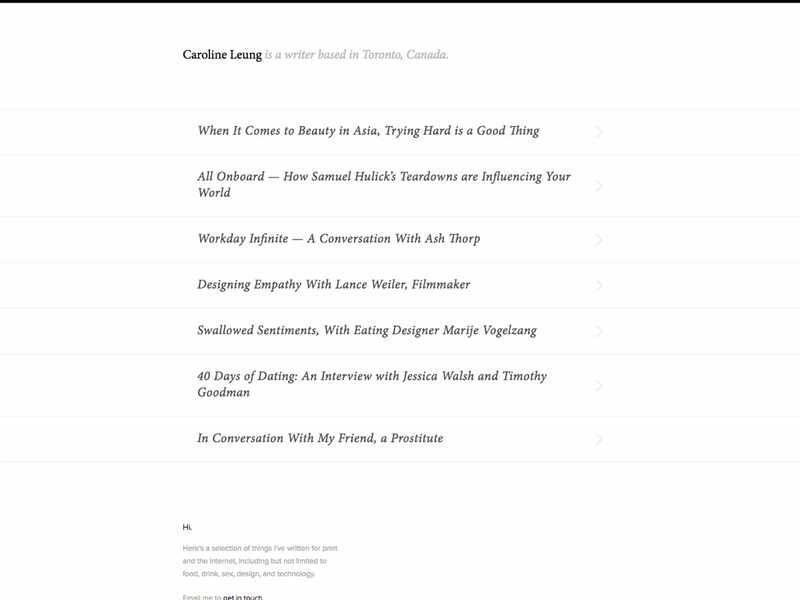 Website developed for the portfolio of Caroline Leung. Designed by Nicolas Girard. Features: Built on Wordpress, beautiful minimal design, fully responsive. Website designed and developed for a very popular call of duty RCON tool (to control and admin game servers). Features: Built on wordpress. 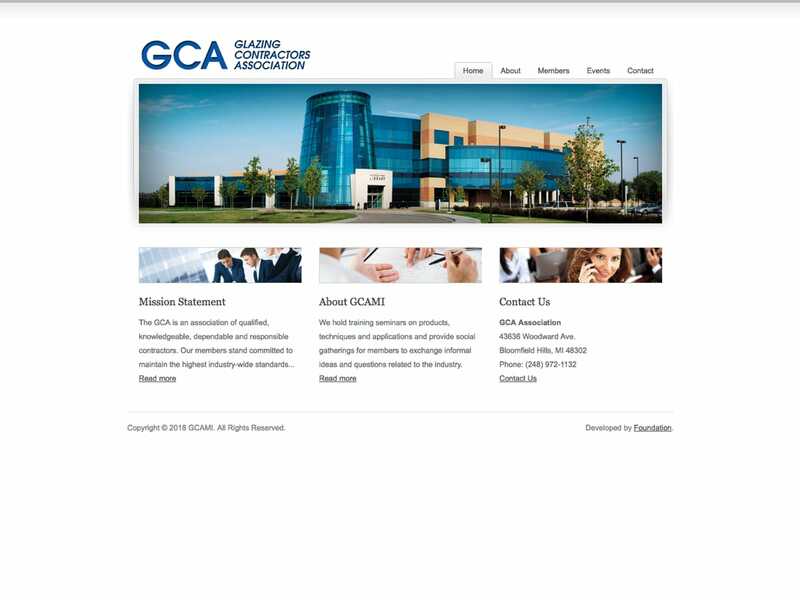 Website designed and developed for the Glazing Contractors Association of Michigan. Features: Simple sleek design, easy to read information pages and calendar page for events. © Joshua Schaible, 2018 - Crafted by Joshua Schaible.